Fire detection and fire alarm systems can be installed in buildings to satisfy one, or both, of two principal objectives, namely protection of life and protection of property. The objectives can differ in time or place. Other possible objectives exist, such as protection against business interruption and protection of the environment; these are likely to be satisfied by the recommendations in this standard for protection of property. 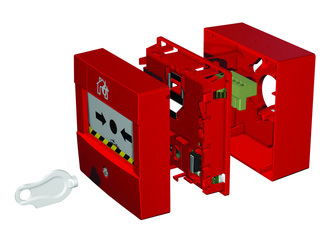 Category M systems are manual systems and, therefore, incorporate no automatic fire detectors. a) Category L1: systems installed throughout all areas of the building. b) Category L2: systems installed only in defined parts of the building. NOTE 1 To achieve the above objective it is normally necessary to install detectors in rooms which open onto an escape route (see 8.2). NOTE 2 The installation of detectors in additional areas is not precluded, and the system could then still be regarded as a Category L4 system. e) Category L5: systems in which the protected area(s) and/or the location of detectors is designed to satisfy a specific fire safety objective (other than that of a Category L1, L2, L3 or L4 system). Often, the design is based on a localized need for fire detection in only part of a building. Protection might be provided to compensate for some departure from normal guidance elsewhere or as a part of the operating system for a fire protection system. Such a system could be as simple as one that incorporates a single automatic fire detector in one room (in which outbreak of fire would create undue risk to occupants, either in the room or elsewhere in the building), but the system could comprise comprehensive detection throughout large areas of a building in which, for example, structural fire resistance is less than that normally specified for buildings of that type. NOTE 3 The protection afforded by a Category L5 system might, or might not, incorporate that provided by a Category L2, L3 or L4 system. a) Category P1: systems installed throughout all areas of the building. b) Category P2: systems installed only in defined parts of the building. The objective of a Category P2 system is to provide early warning of fire in areas of high fire hazard level, or areas in which the risk to property or business continuity from fire is high. NOTE The defined parts of the building might be as few as one or more rooms, or as extensive as, for example, complete floors of the building. 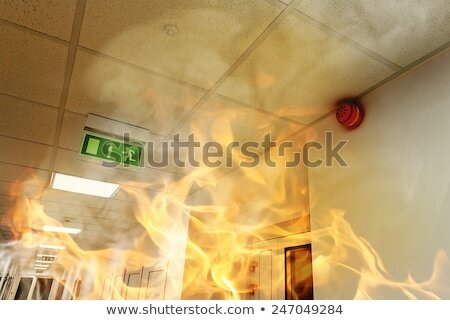 Even in buildings with comprehensive fire detection, the provision of manual call points is still normally of great value; people in the vicinity of a fire are normally aware of the fire, and able to raise the alarm by use of a manual call point, before it is detected automatically. If a system is intended to fulfil the objectives of more than one category of system, then the system needs to conform to the recommendations for each of the categories. For example, a system whose sole purpose is to provide property protection throughout the building (a Category P1 system) might not need to give an alarm signal of sufficient audibility to rouse all occupants who might sleep in the building. If, however, the system were also installed for the purpose of life safety (a Category L system), sufficient fire alarm sounders to rouse sleeping occupants would be necessary. This part of BS 5839 does not recommend which category of system needs to be installed in any given premises. The various system categories are to be regarded as a “menu”, from which purchasers, users, specifiers, enforcing authorities, insurers or system designers can select a suitable system for any building. However, Annex A provides information on the Categories of systems that are typically installed in various types of premises. Because of the wide range of systems covered by the recommendations of this part of BS 5839, the specification of requirements for a system, by a purchaser, user, enforcing authority or insurer, or the description of a system by a designer or installer, by reference to this standard, without a reference to system category, has little meaning. The category of system to be installed always needs to be included in the specification. Similarly, the specification of any category of system, other than Category L1, M or P1, always needs to include details of those areas of the building that are to be protected. (see Clause 7) and a Category P2 system. In such cases, either description could be used; the designated system category is to be regarded as a shorthand form of description, rather than a rigid form of prescription. Where a choice exists, however, the description needs to be based on the specified objective of the system.